An editorial appeared today on the GulfNews.com website that should be of interest to Freemasons all around the world, because it is a microcosm of the unfortunate way the fraternity is seen across the countries of the Middle East (outside of Israel) these days. According to the website, "GulfNews.com is the most widely read newspaper, and online site in English in the Middle East. With a daily BPA audited paid circulation of over 108,000, and an online audience of 3.5 million unique [views] every month, it is your go to source for information on the region." That alone should make us take note of the kind of reach this publication has in the region. The author is Tariq A. Al-Maeena, who is described as "a Saudi socio-political commentator" from Jeddah, Saudi Arabia. There exists in parts of the Arab world an undisclosed number of individuals who belong to a highly clandestine organisation called the Freemasons. While they operate freely in some other parts of the world, this organisation has been banned in a number of Arab countries because of its dubious agendas. Freemasons claim to be one of the world’s oldest and largest non-religious, non-political, fraternal organisations with the present version of this body taking hold in England sometimes at the end of the 14th century. In the beginning, the informal group would regulate and grade the qualifications of the stonemasons as well as their dealings with the authorities and their clients. As they grew, they evolved. They recruited members through participation in a progression of secretively held ceremonies, which included a series of rituals following ancient forms and using the customs and tools of the stonemasons of yesteryears as their guide. Despite the 1964 government decree, declaring the demise of Freemasonry in Egypt, some were not so convinced. Ahmad Abdullah’s 1985 book titled 'Freemasonry in Our Region' suggested that Freemasonry was alive and well in the guise of Rotary Clubs and other like-minded associations. “Having accomplished their earlier mission to establish a Jewish state, Masonic conspirators now intend to undermine Islam using charity work and community outreach as their tools,” charged Abdullah in his opening chapter. 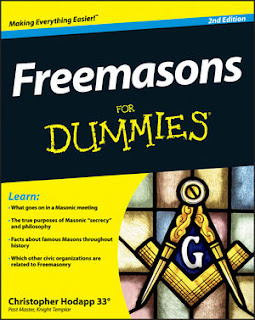 The rest of the book went about defining and equating the ‘new Masonic cancer’ with Rotary and Lions organisations and with Jehovah’s Witness, Freedom Now, Solar Tradition, New Age and several other fringe outfits. In Iraq, Masonic lodges existed as early as 1919, when the first lodge was opened in Basra, and later on when the country was under British Mandate just after the First World War. However, the position changed in July 1958 following the Revolution. The licences permitting lodges were rescinded and later, laws were introduced banning any further meeting. This position was later reinforced under former Iraqi president Saddam Hussain, the death penalty was prescribed for those who promoted Zionist principles — including Freemasonry. With the fall of Saddam in 2003, a number of lodges have begun to meet at military bases within Iraq. These lodges primarily cater to British and American military units stationed in the country. With the discovery of oil in the Arabian Peninsula came the influx of companies to exploit the production of the natural resource in this area. The Bahrain Petroleum Company Ltd (Bapco) in Bahrain and the Standard Oil of California (Socal) in Saudi Arabia took firm hold in the 1930s in search of black gold. Workers began arriving and among them were Freemasons. Research suggests that during the early 1940s, the Freemasons in Bahrain formed themselves into a Masonic Club while those is Saudi Arabia did likewise and there were many informal functions that were attended by Freemasons and their partners. It was inevitable that in due course, a group of Freemasons would meet to explore the possibility of forming a lodge, both on the island and also in Saudi Arabia. They succeeded first in Bahrain and formed their own lodge. Membership went from strength to strength until at the end of March 1975 when the political climate towards Freemasonry was no longer conducive. The Bahraini Ministry of Labour and Social Affairs issued a prohibition notice on the practice of Freemasonry in all of Bahrain. This led the members into holding their meetings in secret. In Saudi Arabia, the American Canadian Grand Masonic Lodge was formed in 1962. It was followed by four others. All these lodges were formed to cater to foreigners in the country — mainly North American and British Masons in Saudi Arabia as part of the workforce exploring oil. However, today, following successive crackdowns by the Saudi police, none of these lodges are operational, except as secretive fraternal groups. There have been allegations that a global British aerospace company stationed in the capital has a sizeable membership that continues to practice their rituals today. In 1978, the Saudi Fiqh Academy, that releases Islamic edicts, formally outlawed the Masonic group, charging that “It is, in fact, in its hidden aims, against all religions, its intentions being the destruction of all of them in general, and Islam in the hearts of its adherents in particular. It concentrates on the recruitment of persons in positions of authority in finance, politics, community, science and any other position they can utilise in order to further their power in the community. Its aims are political and they have a hand — either open or hidden — in most political and military insurrections and major changes. For this reason, and many other detailed facts concerning the dangerous activities of the Masons, their evil deception and cunning designs, the Fiqh Academy has determined that the Masons are one of the most dangerous, destructive organisations to Islam and Muslims”. How significant are those words indeed! Beware of the perils within. The Masons will go at great lengths to promote their own interests even now. The charge that Freemasonry supposedly "undermine[s] Islam using charity work and community outreach as their tools" is risible. How could one of the world's three major religions be undermined by charity and community volunteerism? 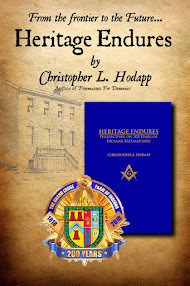 But all regular, recognized Freemasons know the Academy's allegations and others like them are completely false: we do not recruit members; we are not in any way involved in politics; we have absolutely no aims against religious beliefs of any denomination; and as to the charge that we are involved in military insurrections, it is a part of the Ancient Charges of the fraternity that every Mason is to obey the laws of the country in which he resides. The only thing that is dangerous about Freemasonry is that it encourages toleration among all of its members, regardless of their religious or political beliefs, which is itself an intolerable position for a government in a totalitarian or theocratic country that is nervous about losing the iron grip its rulers have on its inhabitants. The very kind of freedom that Masonry espouses and practices among its members is what makes it undesirable to such a nation. "we do not recruit members"
Public relations , community outreach, and recruiting may be separated by a fine line, but I think someone could make a case. Of course, that would only be in the free countries, and not in the middle east. Tom, your qualifier is the real point that should be understood by these folks - in fundamentalist (largely Islamic) countries where Masonry is looked upon as "Zionist" in nature, there isn't much in the way of public relations, community outreach and recruiting going on. When Masonry there exists at all, the Craft has been isolated in these nations to overwhelmingly foreign military or contractor enclaves, and not generally open to the locals. But these folks will go right on spreading the conspiracy theory that somehow a couple of dozen foreigners who aren't permitted out of their compound after dark are a massive movement to tear down Islam and defeat their countries from within. Pathetic. it reminds me of a radio story I heard many years ago just after Poland's independence movement succeeded in installing a new government in that country. At that time, there was one synagogue left in the city of Warsaw, and it was getting ready to close down. There were estimated to be fewer than 100 Jews still living in that city. The reporter said a recent survey among Warsaw's citizens showed that overwhelmingly, the population believed that the miserable economic conditions there were caused directly by a Jewish conspiracy. One of the fastest growing Grand Lodge is in Turkey, so Freemasonry is flourishing. The educated always have a better perspective then the fundamentalist or the ignorant. So the negative view is not only because of the misinterpretation of the religion but more importantly ignorance. I am happy to hear that Masonry in Turkey is flourishing, especially with some of the troubling news we receive here regarding the hard line President Erdoğan has been taking in the last few years against dissenters to his government. That's not always conducive to Freemasonry, so I wish you all great success.